No cash withdrawal allowed to keep the "spirit of Gifting"
Loss/Theft/Damage of card/pin can be informed to the StateBankRewardz Service Center & replacement card/pin will be issued at a nominal charge of Rs.102, plus actual courier charges. 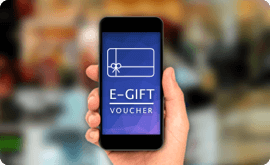 If the Gift Card value is below Rs.700, points amounting to the re-issuance fee(Rs.102) and the courier charges will be deducted from the member's StateBankRewardz account. 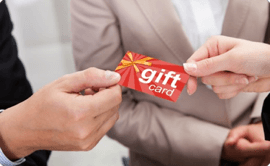 Post confirmation of receipt of the 0 value Gift Card by the member, the card will be loaded with the equivalent amount redeemed and activated within two working days by StateBankRewardz. StateBankRewardz is responsible for the number of points mentioned for redemption of each product in the rewards catalogue. Reward Points shall be deducted immediately from the account when the member places the redemption request. All redemptions requests will be fulfilled within 15 business days unless the delay is due to conditions beyond the control of StateBankRewardz. Points for the returned products due to damage will be rolled back to the members account within 15 business days from the returned date of the product. Redemptions done through StateBankRewardz.com or the StateBankRewardz Service Centre cannot be canceled, withdrawn or modified. In case the member does not receive the redeemed Gift Card, he/she must notify the same by calling the StateBankRewardz Service Centre* within 25 business days from the date of redemption. Reward Points are redeemable only against Merchandise, Vouchers, Gift Card or services as featured in the rewards catalogue. Products offered for redemption is at the sole discretion of StateBankRewardz and is liable to change without prior notice. StateBankRewardz also reserves the right to change and modify the terms and conditions at any point in time without prior notice to members. 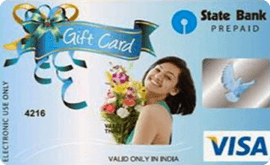 In the event of any dispute between StateBankRewardz and the member on the gift item ordered, the decision of StateBankRewardz shall be deemed as final and binding.